Aye. This archaism is still used as the formal response meaning “yes” in the British House of Commons. It is also an accepted substitute for yea in a voice vote in the US House of Representatives. When it first entered English, it was often spelled I. Etymologists don’t know where it came from, but it appeared suddenly in the late 1500s and is still with us. O.K. The origin of this has been disputed, but it most likely came from the 1840 American presidential election in which politicos facetiously misspelled all correct as oll korrect and abbreviated it OK. The alternately spelled okay arose in the early 1900s. Sure is related to the Old French word of the same spelling which meant “safe” or “secure.” The word was used to mean “safe” until the early 1500s. In the mid-1500s, sure started to take on senses of “certainly” which helped introduce popular phrases such as “to be sure” and “for sure” to English speakers. The common Americanism “sure thing” arose in the 1800s. Yeah. 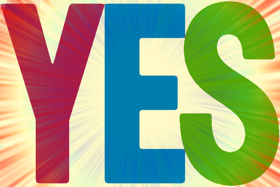 This common casual variation of yes arose in the early 20th century in America. It is likely a drawled version of its formal cousin. Since the 1980s, its usage has risen dramatically, more than three times its previous usage.